PLANTAR FASCIITIS SURGERY WAS THE WORST THING I COULD EVER HAVE DONE!!!! I didn't think there was anyone out there like me that was in so much pain. I want to cry after that STUPID surgery back in June. I am in my 20's and I have kids that I have to take care of and they have me back at work. I use a cane to walk and I can only walk for 15min's every hour. The doctor removed tissue when he did the surgery and never told me. I found out cuz I asked why is was PURPLE and hurt all the time plus it is sunk in. I can't wear the night brace it hurts to much. I have fantom pain that just pops up when ever it wants and the meds's don't work. The Doctor I have just brushes me off and tells me to ice it. THAT DOSEN'T HELP! I don't know what to do any more. I'm depressed most of the day. I can't spend time with my kids out side of the house cuz I can't walk and my Doctor won't give me a wheel chair. My work still makes me walk for more then 15 mins a hour. I also have pain in my back onther foot, anke pain, ect. 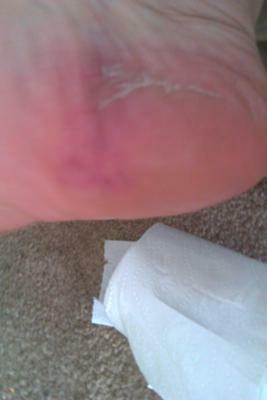 I'm sooo worried I'm going to have to live with this the rest of my life..
OUCH! Sorry to hear all that. Tendonitis can show up anywhere. It's a dynamic, consisting of multiple factors. It can cause disabling pain. Doctors look at that and, ignorant of any treatment to effectively reverse the factors causing the problem, pull surgery out of their tiny toolbox. This often can and does make things worse, from the physical insult of surgery to the aggravation of existing factors that caused the pain/problem in the first place. You're in a world of fear and pain. Totally understandable. You should ABSOLUTELY How To Reduce Inflammation (with ice). You MUST read Magnesium for Tendonitis and get on what it says to do when following the Magnesium Dosage link at the bottom. You MUST get your Vitamin D level up to between 50-80 ng/ml. with it. There's a lot of important to you information in there. Having said that, I believe that your first and foremost action should be to check out The ARPwave System. It's the big gun for this kind of situation. My dvd is good for A LOT of things and scenario, but you got hacked by your surgeon and you had all the physical problems that led to the surgery in the first place which are still there. I believe your best chance to get out of pain quickly, and to not only heal but heal optimally, is with the ARPwave system. Nothing else is going to come close to doing what it can do. My DVD is $40. It can help A LOT if you apply yourself. It's GREAT for reversing Plantar Fasciitis, avoiding plantar fasciitis, and faster recoveries after Plantar Fasciitis Surgery. Don't get me wrong, it's great (though I will still push you towards the ARPwave). The ARPwave rental will cost you $3,300ish, you'll use it in your home daily for 50ish days. It can get a bit intense. But as I said, if you want to get out of pain sooner than later, and potentially very soon, this is the only option I can really recommend. Go ahead and follow that link, then if you're interested fill out the form at the bottom of that page and ask me any questions. Obviously there's a price difference between those to recommendations (don't forget to jump on the Magnesium and the Vitamin D), but/and the ARPwave can fix things I can't even begin to touch. Comments for PLANTAR FASCIITIS SURGERY WAS THE WORST THING I COULD EVER HAVE DONE!!!! I had fasciitis surgery over two years ago, worst thing I have ever done in my life, I still have pain in my foot and now my big toe draws up so tight that I can’t walk, nothing helps the pain. I suffer almost every single night with horrible foot cramps. the cramp is so severe that my big toe literally feels like it’s going to kill me! I would rather have the original pain than to go through this!! About 3 years ago I was experience stabbing pain in my foot, at first it was when I walked, then it would happen when I was sitting or even sleeping. I went to my Dr. and she recommended me to a podiatrist. After having 6 cortisone shots over an 8 month process, the podiatrist stated that she thinks I need the surgery because I should have gotten better. I asked her if after the surgery if I would be back to normal and she said yes. 2 years ago I had the surgery, the surgeon stated it was the worst she had seen and now they understood why I was in so much pain. After 8 weeks of recovery I began my normal schedule and had to deal with my foot swelling for almost 2 month by the end of each day. I was told to wear compression socks, which I did, and it really didn't work. I was then sent to PT for about 8 months. After spending over $800 on PT and seeing no difference. I went back to the Doctor and discuss how my foot aches and how I can't feel a good portion on my foot, and how I can balance, etc. She looked at me and said there is nothing I can do for you. Basically, she got her money screwed up my foot for life and washed her hands of me. I am so frustrated because I can't even walked thru the grocery store without having to come back home and rest. My foot hurts and because I favor this at time my knee and back go out. I am wearing all the ortho shoes, and still no relief. How do I fix this? Can this be fixed? Am I looking at cronic pain and numbness for the rest of my life? I just want to be able to get up and go for a long walk if I want to, or be able to take my daughter to six flags. I was told to stay far away from podiatrists and maybe to go see an orthopedic doctor, has anyone ever gone down that road? Looking for help and advise. 1. The surgeon said what exactly was the worst s/he had ever seen. 2. Doctors shouldn't give promises of outcomes they can't guarantee. By saying you would be better, she made a claim (may or may not be court-worthy....probably not). But yes, unfortunately, doctors do a lot of 'hand washing', as you described. At least they didn't tell you it was all in your head. 3. 2 years later and you still have numbness etc? Did you have numbness before the surgery? 4. What exactly was done during the foot surgery? Had plantar fascitis for 8 years but this last year it came back horrible in my rt foot. I hobbled around with stabbing knife pain for a year. P.T. did not help. Had surgery and two months after still in severe pain. 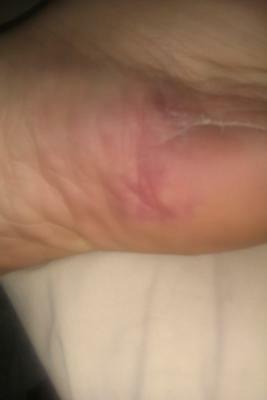 No stabbing pain but now it feel like I'm walking on a bad bruse and when I step down it fells like there is a gold ball under my foot with each step. Now back to PT. Wondering if I chose a bad Dr. So upset with the outcome. Praying that I can find some relief. I had surgery to release the 2 inner facia bands on my left foot less than a month ago. I had IMMEDIATE relief of my heel pain!! Now, I am noticing my arch is falling, and although it isn't real 'pain', my foot does feel 'tired' when I walk consistently for an hour or if I am bare foot. I suppose I need more time to heal, but when I go back to my doctor next week, I'm going to ask him to prescribe special inserts for me that I can use with my dress shoes as well as my walking shoes. Maybe bare feet are a thing of my past (sigh), but so far I am so happy I had the surgery. I had been gaining so much weight because I just couldn't get off of my couch. The surgery took literally 5 minutes - it took longer to numb the area! I was awake for the surgery. There were only 3 stitches, and now the scar is barely visible. That's great that the surgery was quick and you had immediate relief. It's not so great that you now feel like your arch is falling...especially if it actually is falling now that (presuming that that's what the surgery did) the plantar fascia that helped hold the arch up/together has been weakened or completely severed. have been offered surgery, but very reluctant! I have suffered for years with plantar fasciitis, have had injections in both feet, the last injection has played havoc with my foot, it led to extreme pain a new pain not PF after many weeks back and forth to my Dr I was referred to a specialist, had a new MRI which showed a lot of inflammation, first of all he gave me a boot to wear for 2 weeks, I lasted 2 days before it aggravated my spinal problems so much I had to stop. I have been back yet again to see him this week after the PCT refused the funding for extra corporeal shock wave treatment, I have now been offered 2 choices an injection of my own blood into foot or an operation where he cuts behind my knee and into my foot, then a cast for 2 weeks followed by 6 weeks of physio both have a 70% chance of success. I am busy researching and asking for peoples experiences as neither option fills me with much enthusiasm. of course there is a 3rd option put up with it and do nothing. As this thread shows, not having much enthusiasm for surgery is probably a pretty good plan. Cutting into the back of your leg up at your knee and down at your foot to 'lengthen' a structure, totally ignores why that structure is short in the first place. It's just chronically tight. Surgery ignores the causes. And may or may not make anything better pain-wise, and may or may not make things worse. What's happened since you originally wrote in? I have had plantar fasciitis for along time, I went through a series of steroid injections 6 in 6 weeks each side of foot and the most painful of all the heel, they helped for around 6 months. I was told the surgery they would cut a Z pattern and flap back the skin and remove the bump,cast for 6 weeks and that after all that it was possible for them meaning bumps could return and could be multiple or possible cut a nerve and that also would hurt. So, I have been living with this. Now I have pain in the bones in my feet and the claim it is arthiritis, heel spurs PS. However August 17th I woke up at 12:00 am with the most excruciating pain in both feet/ it was like a charlie horse cramping moving up my left leg with the feeling of being crucified at the same time. When I tried to stand up I wet my self from the pain 3 times during again 6 hours/ never realized the number 6 until I wrote this. that it waS ALL RELATED TO MY BACK indicating L4 runs to feet L5 and so on and so on. That sounds like no fun at all. It sounds like the surgery was a bad idea, overall. And pain from a herniated disc is certainly a possibility. Disc issues in the low back affect the nerves down the leg. And all the original factors that first caused your foot pain are still going strong, since foot surgery doesn't fix or even reduce those at all. 1. I'd get my 'The Plantar Fasciitis Treatment That Works' DVD and the Quick Start Companion ebook that comes with it and get right to work with the nutrition and other physical self care. 2. To fix the low back issues, I'd start with the free in home trial of The ARPwave System . Working with the ARPwave will also help your feet and help you heal from the surgery. It sounds like you're in a world of hurt. It sounds like the damage and trauma the surgery caused made things worse. In all seriousness, it's going to take something to turn this around. More pain now than before the surgery. Joshua, Thank you so much for all the great info. I m taking all that I have learned to my NEW Dr and I'm hoping he will do a better job. I think your site is AMAZING and A LOT of help. Ps, I will update how my treatment is going.